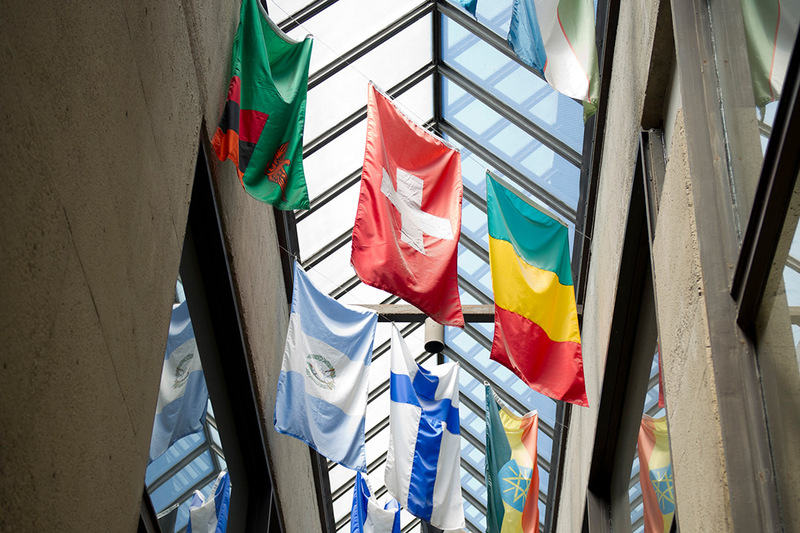 International flags hang in the Student Alumni Union building. Rochester Institute of Technology is among the first signatories for the new Declaration on University Global Engagement launched by the United Nations Institute for Training Research and the Association of Public & Land-grant Universities. Universities that sign the declaration agree to a series of actions including increasing student physical and virtual mobility across nations, committing to cross-border and cross-sector research and providing students the skills to productively engage with individuals from different cultural and national backgrounds. To view a full list of universities that have signed the declaration, go to http://globallyengageduniversities.org/signatories.